They Came From Planet Earth is a Match 3 game from Games 1 developed by Pixel Chunk. In a search for a new planet where they can live, the humans have landed on an unknown planet that was already populated. Help the frog like resident rid his home of these pests! 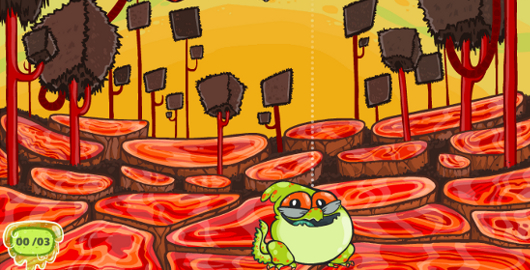 Amoebas is a Match 3 game from ClockworkMonster. Combine small amoebas to grow the biggest amoeba! Solve puzzles or play Endless Mode until all tiles are full! Puzzle Cannon is a Physics based Match 3 game from PodgeWorld. 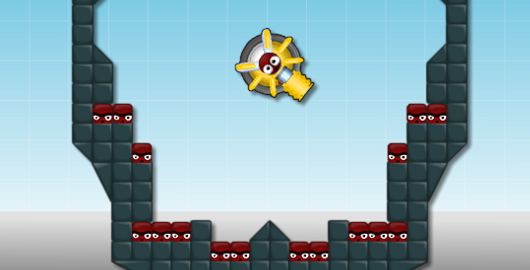 Aim your cannon and shoot colored cannon balls at the same color of blocks so the cannon ball will stick to them. Stick 2 or more blocks to the ball and they explode. Clear all the blocks to complete the level. 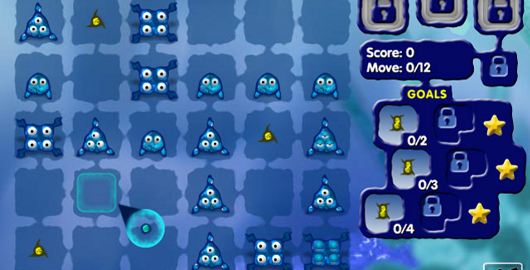 Sticky Linky is a Match 3 style Puzzle game from Gamesgames developed by Sergey Batishchev. Test your match-three skills with this whacky, super unique puzzler that will have you playing for hours! Sticky Linky is anything but ordinary, and it breaks all the boundaries of the usual match-three games. 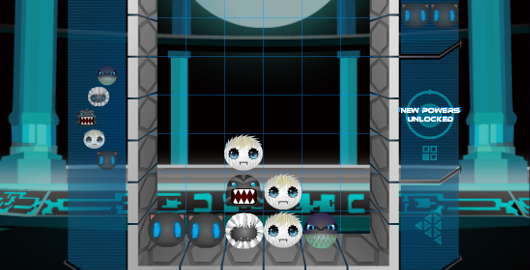 The Runes is a Match 3 style Puzzle game by Dronharn. Use the arrow keys to move right and left. Use the up key to rotate the runes and the down key to place it. Get 3 runes of the same tier next to each other, to turn them into 1 higher tier. Digital Upgrade Decoded is a Match 3 game from Yepi and Iluvas Games. Match 3 players for coins to buy upgrades and power ups. 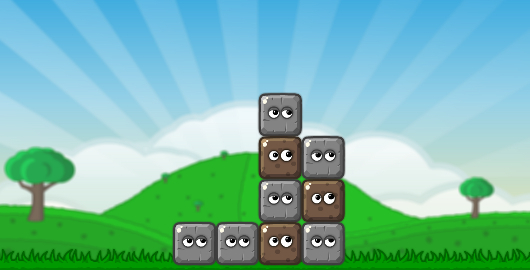 Blocks is a puzzle game from Kongregate. In this Match 3 style game you move one block so the others fall forming a group of 3 or more blocks. You only earn a star for the level if you do it in the allowed number of moves. 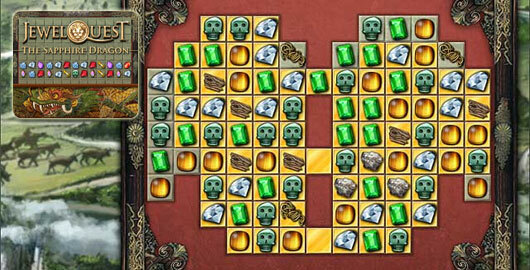 Jewelanche is a Match 3 game from Addicting Games. Hold your mouse button down and connect the same colored jewels to earn money to buy upgrades. 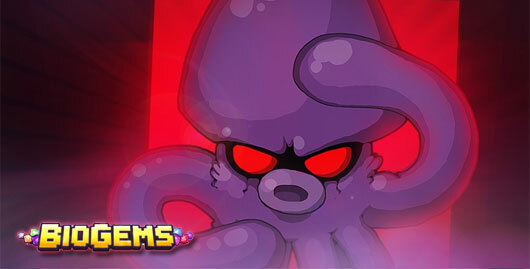 Explore the Temple of Wishes, an ancient complex thought to be only a legend, and take on a gang of ruthless pirates. Solve action-packed Jewel Boards and challenge yourself with bonus levels as you explore the entire globe. Play as different characters with unique abilities and tackle new challenges in Jewel Quest 6: The Sapphire Dragon! Help the gnome to clear up the level from heaps of candies using his cannon in Frozen Candy, a nice Christmas themed match 3 puzzle game. 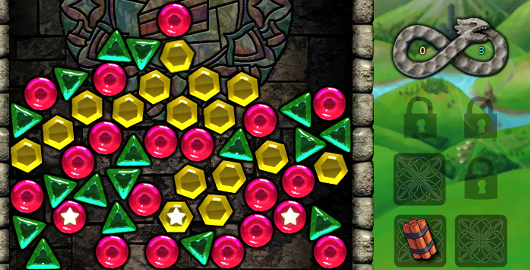 Brilliant Crystals is a polished color match shooter a la Puzzle Bubble with a few twists. 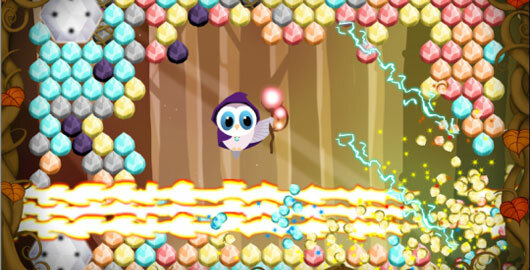 “Help the magic Owl Wizard clear all of the crystals that are so closely surrounding him. 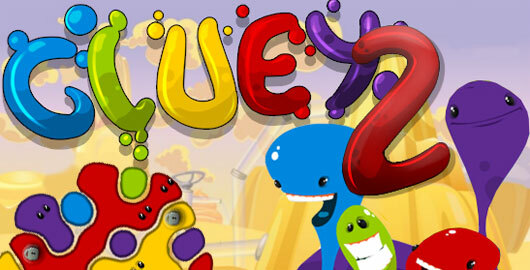 Gluey 2 is the sequel to Gluey, a physics Match-3 game developed by Sergey Batishchev where you have to free blobs! And the blobs are back! Clear each level by removing clusters of like-colored blobs. The bigger the cluster, the more points you score. If you enjoy Gluey, you will love this one! Developed by the team behind Mochigames, the game features nice animations, sound effects, and is overall pretty well done. That being said, beating the final boss is tough and requires luck and patience. 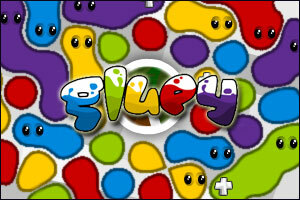 Gluey is a physics Match-3 game developed by Sergey Batishchev where you have to free blobs! 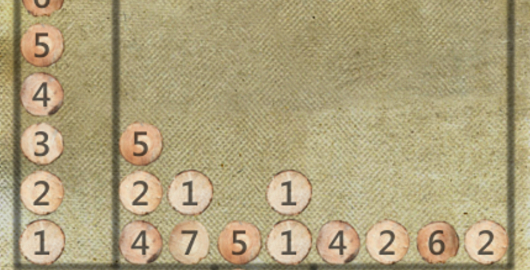 Click large blobs to make them disappear, and use special items to improve your score! Each round is unique and random. If you get stuck, just restart the level and get a new starting combination! If you like both physics-based games and Match-3 games, you will love this one! 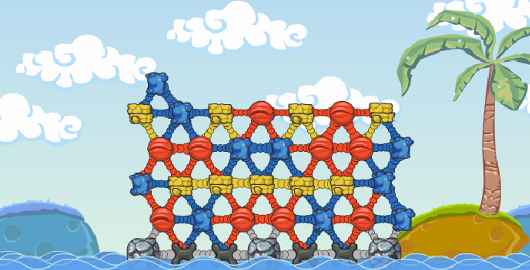 Poppable Cascade is a Physics-based Puzzle game created by Paul Woolley and Gavin Watkins. Your goal is to click groups of 3 or more matching balls to pop them and then clear each level in a limited time. To do so, use your mouse to click any ball in the game window. 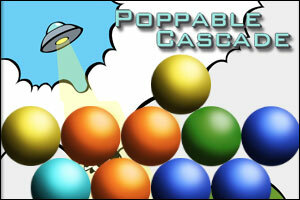 Poppable Cascade is an interesting mix of physics and match 3 puzzle game. Be warned, you’ll need a bit of luck to complete the 20 levels! 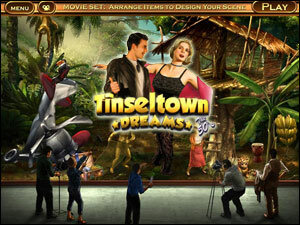 Take a seat in the director’s chair in Tinseltown Dreams: The 50’s, a fun new Match 3 game set during this renowned time in film! Play wild cinema inspired levels using exciting power-ups, hilarious combo bonuses, and a wild popcorn maker! Hone your tile swapping skills to earn a big budget then choose unique props and characters for your movie. Arrange your stage as you see fit, then submit your masterpiece it to the public and see if you’ve made a box-office bomb or an award winner! Create films in different genres. 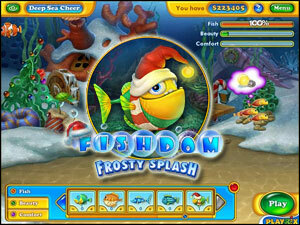 Enjoy the start of winter with Fishdom! Cheer up and spread the merriment of crispy clear days around! Use your imagination to recreate the nippy and fun atmosphere of winter in your very own fish tank. Earn tons of money as you complete challenging Match 3 levels and use it to buy festive fishies and winter-themed decorations. Endless game play, with unlimited tanks to buy.